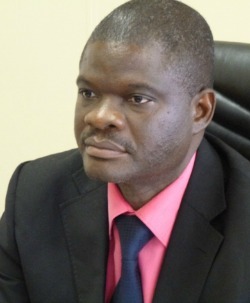 Consensus within the MDC-T structures on the 2018 council, parliamentary and senate candidates will go a long way in tackling infiltration by the Central Intelligence Organisation and Zanu (PF) says party Acting Chairman Morgan Komichi. In an exclusive interview with The Zimbabwean in the city over the weekend, Komichi said the party would produce strong candidates to defeat Zanu (PF) if structures go the consensus way of selection and avoid primary elections. “Primary elections are good but in our experience they have had some devastating effects as some of the MPs for example have proved to be like Zanu (PF) agents after winning elections using our ticket. Some die hard, tried and tested MDC-T activists have been defeated at primary elections by some candidates who just come and use their financial muscles to win primary elections. “However after winning even the elections themselves, these candidates have opposed us from within,” said Komichi. MDC-T leader Morgan Tsvangirai also recently told Midlands South party provincial leadership in Gweru that primary elections to choose candidates for 2018 elections may not be conducted. He said the internal party polls have over the years divided MDC-T’s supporters and weakened the party ahead of elections in developments that gave Zanu (PF) an upper hand.